Being able to use your own car on holiday is very useful if you want to go on excursions or independent tours. 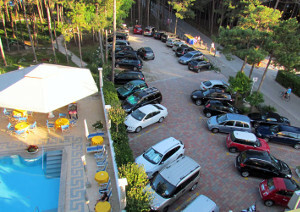 For anyone arriving in San Remo by car, or planning to rent a car, it’s a big advantage to find parking available right in the hotel where you wish to spend a pleasant, stress-free holiday. Sanremo Hotels have selected hotels with parking for you in San Remo – this way you will be able to book a hotel where you will be sure to find a parking spot available when you return from a wonderful day out exploring the beautiful attractions of the Riviera of Flowers.